Just like in the Thai restaurant! 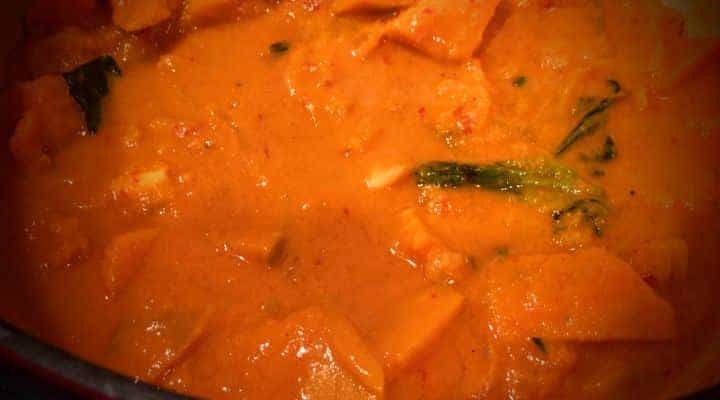 This Paleo Pumpkin curry uses homemade Red Curry Paste to create a Thai Red Paleo coconut curry sauce. Rich, fragrant and filling with no absolutely added sugar, it makes a healthy and delicious meal. One of our favorite ingredients is Japanese pumpkin. The Japanese Pumpkin, or Kabocha, has a delicious sweet flavor, similar to standard pumpkins, but with a consistency reminiscent of butternut squash. I would say for many applications it is the best of both worlds. 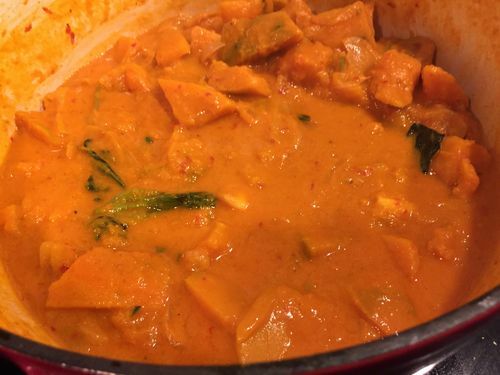 We definitely love to use Japanese pumpkin in dishes where some natural sweetness will go a long way, such as Thai dishes where typically sugar would have been added but we are forgoing it in the name of health and staying Paleo. Getting Japanese pumpkin in the west is becoming increasingly easy. 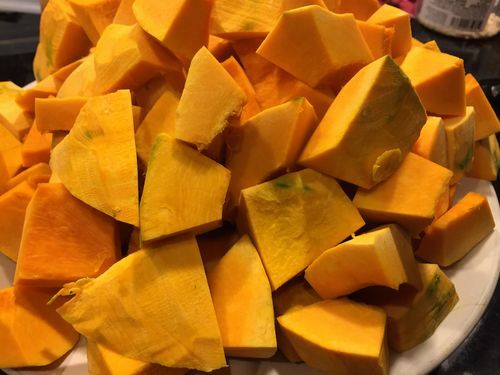 I’ve seen Kabocha available at many farmers markets, as well as natural food stores such as Trader Joe’s and Whole Foods, among others, typically in the fall. 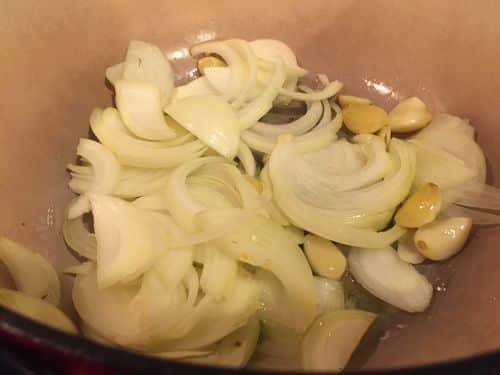 Although our recent focus has been on our article series on meal kit and delivery Paleo options with topics like Paleo meal delivery in Columbus OH, Paleo meal delivery in Sacramento CA and Paleo meal delivery in San Antonio TX and other US cities, we also love to share some of our favorite recipes from time to time. 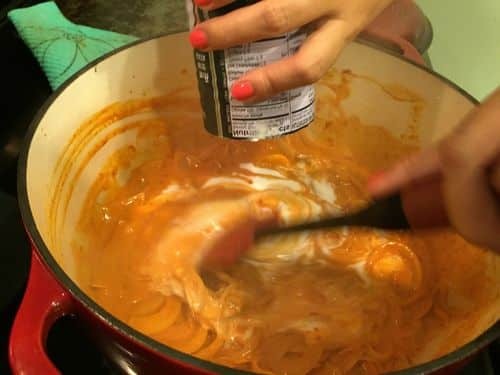 This is one of those recipes that we loved! Getting authentic Thai food once you go Paleo can be a challenge. Many dishes contain sugar outright or if not they include store bought ingredients such as fish sauce brands that are not Paleo and contain sugar. 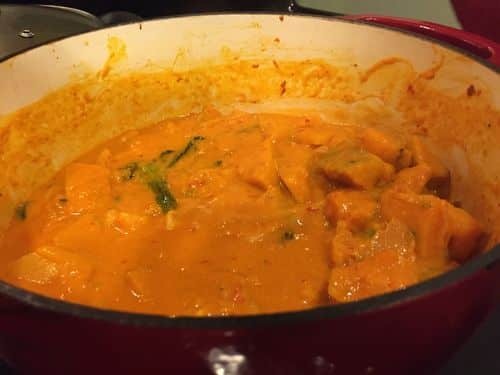 In this recipe we have created a Paleo version of Thai red coconut curry, using homemade Thai red curry paste with a base of coconut milk. Just like what you would get in a Thai restaurant, but with control over every ingredient that goes in (or doesn’t go in) to the dish! Next add in coconut milk Paleo Friendly coconut milk and stir it into the curry mixture. We used an Organic Aroy-D here but Trader Joe’s also sells an Organic coconut milk that contains only organic coconut and water. Next add the Red Boat Fish sauce. Finally ladle into a big bowl and serve hot. 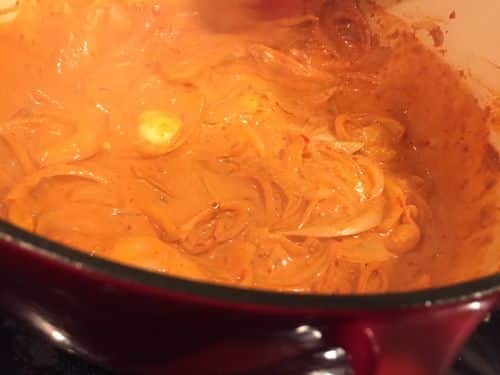 The curry keeps and freezes well, so feel free to make a big batch. The flavors tend to fuze together over time like a stew, improving each day. Many if not all of the canned Thai curry pastes available contain sugar, preservatives or both. This is a shame because Thai curries are delicious! 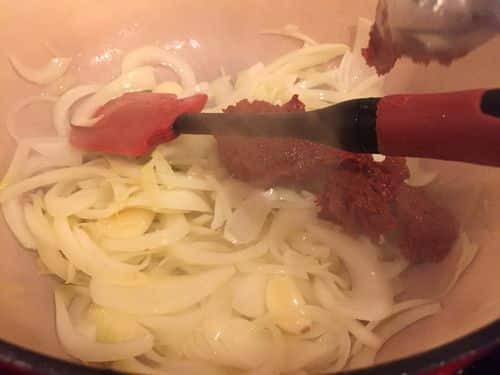 Luckily making Paleo curry paste yourself from scratch is easily as good or better than the store bought kind! Here are the steps we used. 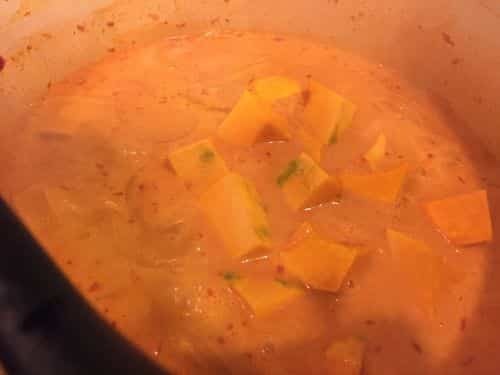 Note this curry paste is great for dishes such as the coconut curry above, Thai soups such as Paleo Thom Kha Hed (Paleo coconut curry soup), or even added to plain Cauliflower rice to spice it up and give some flavor. 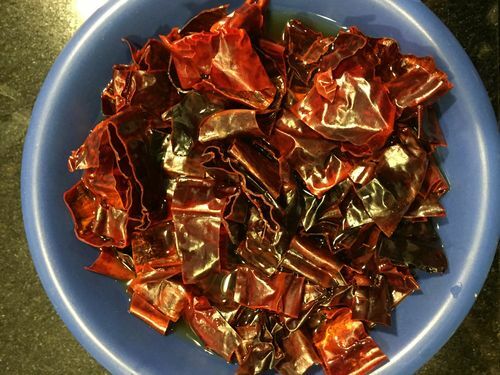 Slice up the Anaheim Peppers or “California Chile’s” in a bowl, and soak them for 20 minutes or until they are fairly soft. 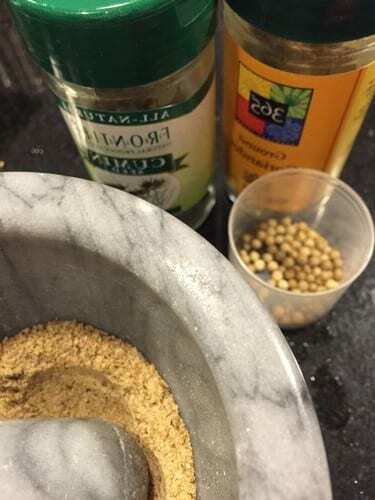 If you have a mortar and pestle set available, I’d recommend grinding the spices into powder to make a spice blend. However if you don’t have one handy, you can just throw everything into a food processor and have it do the work for you (albeit not as thoroughly). 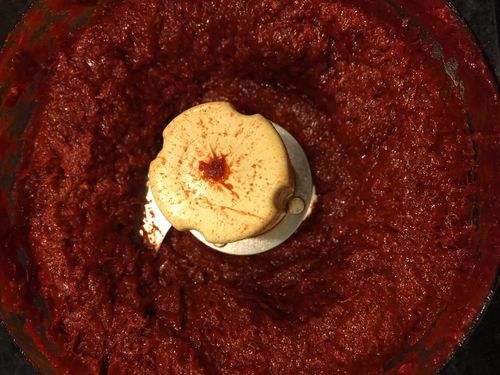 The last step is adding all of the ingredients into a food processor and processing until it forms a smooth paste. 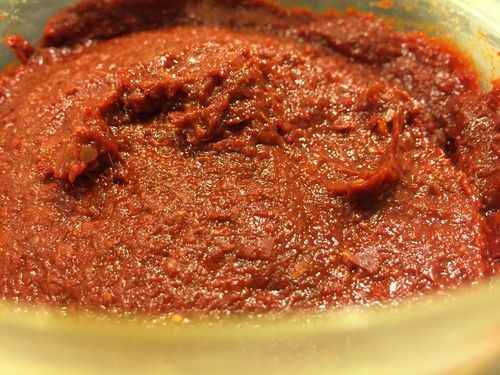 The final curry paste can be used either refrigerated or frozen. 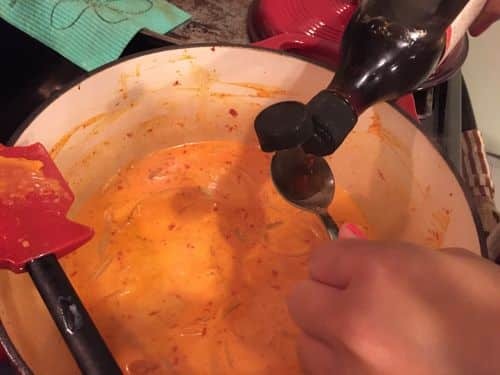 We’ve been using our frozen and scraping out spoonfuls as needed for different dishes. 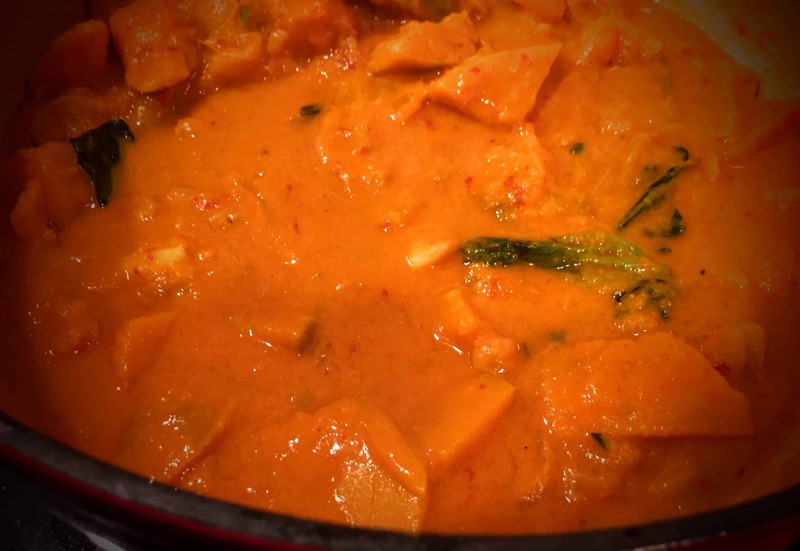 Finally, putting it all together, Paleo Pumpkin Curry in Thai Paleo Coconut Curry Sauce.